Get the recognition you deserve by working towards Chartered member status, an internationally recognised accreditation that will enhance your career, help your company to win contracts and boost your professional image. Chartered status could enhance your earning power for years to come. It is comparable with an honours degree and the research says that those with a degree or professional status earn more than those without. As a member of the CIOB, you’re in good company. You’re part of the largest construction management network in the world, with nearly 50,000 members in more than 100 countries. We work hard, for you, to improve the political and social environment for the construction industry by working with government and other industry groups and running campaigns. 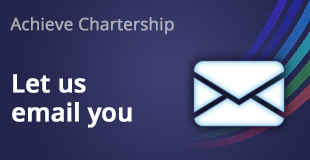 As a Chartered member, you have a chance to influence the issues we tackle and help to chart our future course by joining our special interest groups, becoming a trustee or serving on a committee.